Abeer and Mishti's life seems to take new turn, Abeer and Mishti again meets each other amid holi. Abeer now has started to relaise his some connevtion with Mishti but Meenakshi is not at all happy to know this. Meenakshi is totally against love marriage as she had been betrayed in love and don't want her son's to fall in love. 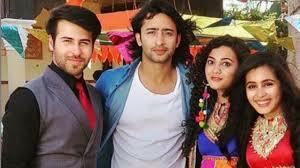 Here Meenakshi will make all plans get Abeer married as soon as possible and keep him away from love and its consequences.